Drinking water hasn’t always been easy for me. But with some doctoring up, with a stir of creativity and color, I have upped my H20 game. With the warmer weather here, it is essential to hydrate and why not enjoy the necessity chore. 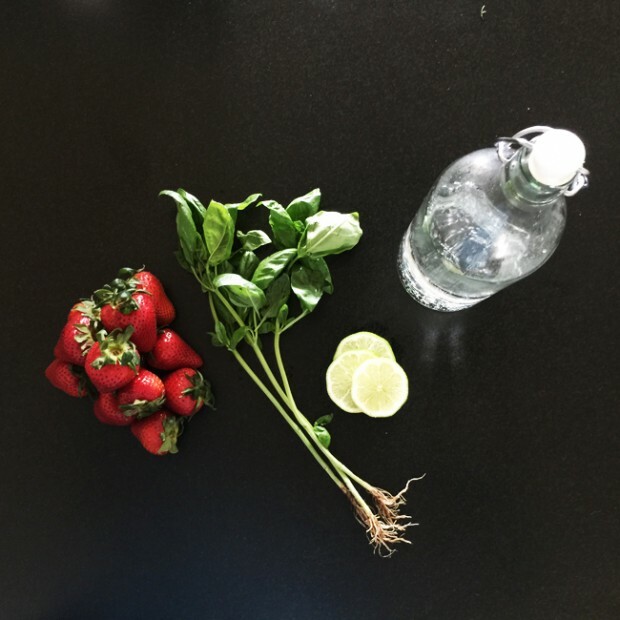 I often throw citrus like lemons, limes or oranges and some fresh herbs like, mint, basil, or rosemary in my water pitcher. But I was feeling strawberries this week… and a little bubbly. Plus when the pitcher is empty, you have some nice fresh herb-infused fruit to eat up and keep you further hydrated. Have fun with your combinations and keep us posted! Cut strawberries into quarters for easier muddling. Tear basil leaves in half and mix with strawberries. Add to a pestle or cocktail mixer and muddle until macerated. 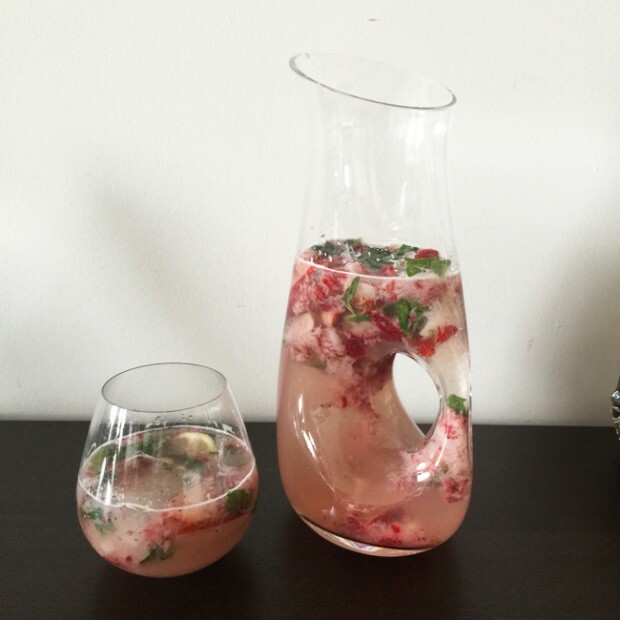 Add muddled fruit to a pitcher and top with sliced limes and and extra strawberries. Top with sparkling water and chill for an additional 15 minutes, til fruit settles a bit.